if you’ve been following my blog for even just a week, you know of my love for fall. the leaves rustling under my boots. the crispness in the air in the morning. the caramel apple ciders at starbucks (even though i tend to drink those baby’s all year long). 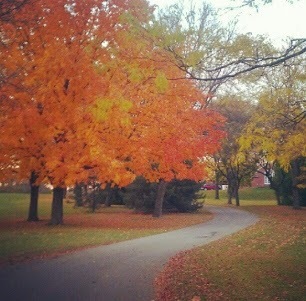 something about fall brings me to life especially in the midwest. i absolutely love it. normally during this time of year i start getting into my house rituals on preparing our humble abode for this new season. because we are the midst of selling our house i won’t be switching gears into my typical fall routine but that doesn’t stop me from wanting to share it because even though i’m not undergoing it all, little bits and pieces are still happening. 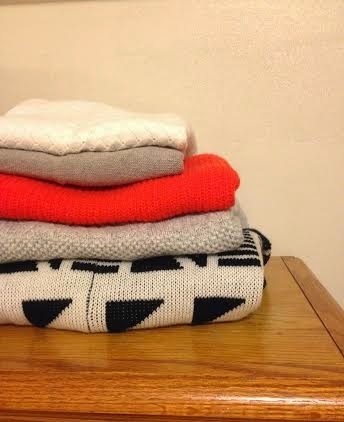 1. break out all the knit and wool blankets from hiding. cozy up the home with scarves hanging near the back door and mittens to throw on when those temperatures get a little on the low end. 2. bring out all the candles (and i mean a llllll of your candles) and start lighting them the minute you walk in the house from a day at work and don’t blow them out until it’s bedtime. the smell and warmth of candles make the whole room magical. 3. get your flannel on. from shirts to pajama pants, everything should be flannel this time of year. i can’t wait tip it’s chilly enough outside to put on our flannel sheets. 4. now’s the time to start making feel good comfort food meals. or you can always try something new. make the apple acorn squash that you’ve had pinned for a year or two. spend a sunday making some homemade soup. or cook up a pan of no fail lasagna. 5. swap out the wardrobe. pack up those shorts and tanks for another day and bring out the sweaters to play again. and don’t forget about your shoes too. 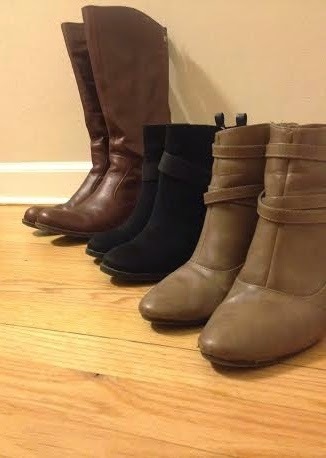 i’m all about boots in the fall and winter and i’ve been dying to get these shoes out since early august. you can only imagine my excitement now that it’s finally boot weather! 6. in preparing for fall, drink lots of mugs of cider and cozy up with a good book with a heavy comfy blanket. give your babies bubble baths and take long walks in the crisp air with your family. enjoy the new season; it’s beautiful but brief! what are your favorite things to do when preparing for autumn?